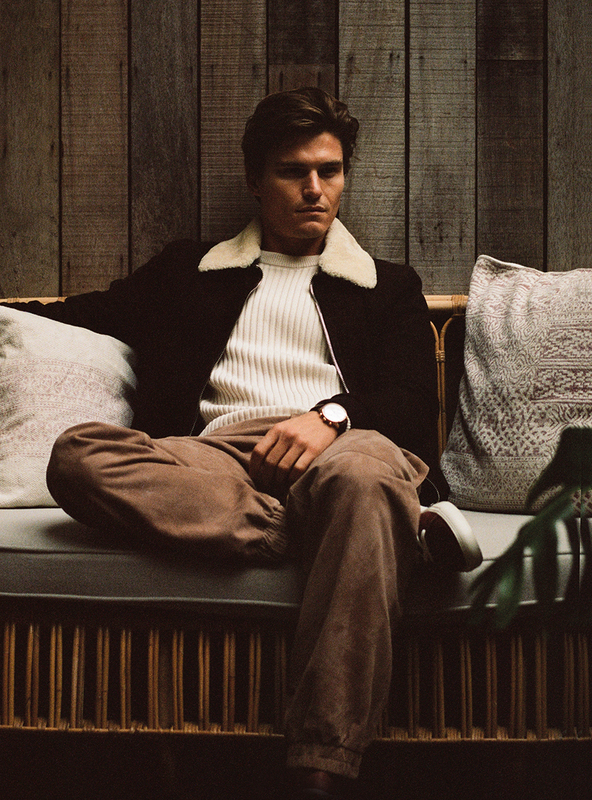 Oliver Cheshire became a modelling sensation at the tender age of 16, while he was studying drama. Fresh from being scouted, he was snapped up as the face of Calvin Klein Jeans and has gone on to become one of the UK’s most recognisable male models; walking for many major brands and fronting campaigns for Dolce & Gabbana, Missoni, Abercrombie & Fitch, Hollister, Vivienne Westwood and Marks & Spencer. The latter announced a 50% increase in the sale of men’s swimwear whilst Cheshire was fronting its campaign. Cheshire is currently preparing to launch his first clothing line, named Ché and looks back with Wylde at his half-a-lifetime in the industry. Wylde: Tell me about your upbringing and growing up back home. 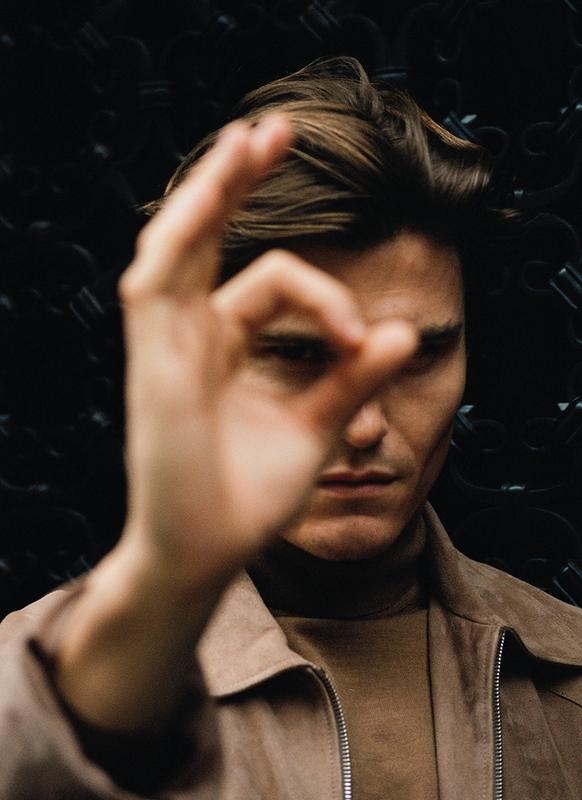 Oliver Cheshire: I was brought up in a little market town called Hitchin. I went to an all-boys school. I love playing rugby and I was very much into my fashion from a young age. I dreamt of being a fireman – like my father – or going into acting. This is what I studied at college and from a young age, at summer drama school. In my younger days I was always cutting up my own clothes and customising everything from my jeans to my own shirts, which my mum would mostly laugh at, because my ideas were so wacky. I was always lucky enough to be in the latest trainers, even if my mum couldn’t necessarily afford them… she always found a way. Talk to me about the beginning of your career. So, at the age of 16 I got scouted by Select Model Management. I remember being approached by one of the scouts, and then they took Polaroids of me and asked me to go into the offices the week after. They took more Polaroids of me, which they then sent to clients around the world and a few days later, I was asked to fly to New York to meet Calvin Klein. And then I was lucky enough to book the job and became the face of Calvin Klein Jeans. That was really the start of my career and it definitely helped open doors to the rest of the fashion industry. I then went on to walk in many shows in Milan and Paris. How has your work progressed to where it is now? In the fashion industry it is easy to become ungrounded. I’m lucky to love my job and I understand that there are millions of people who would, and can, take my spot, so I’m always polite to everyone I meet and make sure I’m on top form for every shoot I go to. What does it mean to you to be a Londoner? London is such an amazing place and a melting pot of fascinating people. I love the diversity and fast-paced life it brings me. I see inspiration everywhere and there is always something new and exciting happening in this great city. How did your Ché collection come about? I’ve always wanted to start a menswear label, as I feel I have learnt a lot from being a model over 15 years, and from working with some of the most creative designers, photographers and stylists out there. I also wanted to set myself a new challenge, and that was to create a label. First thing I had to do was to find the right people to be able to bring my vision to life. Then finding the correct factories and eco-material. I have been collecting materials and building mood-boards for quite some time now. This definitely helped with the vision I wanted to achieve with the label. How would you define the label? It’s fashion-forward resort wear, which I hope my friends would love to wear. It’s also eco-friendly but definitely fashion-forward and trend-driven. Who do you intend to be the wearer? A man who takes pride in his appearance and who’s after something a little bit different and special. There is a sports element to the label and it definitely maintains its elegance. I want the customer to feel comfortable in a pair of my shorts on a sunseeker as well as riding a skateboard down Venice Beach. Tell me about your future aspirations. My future aspirations are definitely to grow the brand. Discover more ways and materials that are eco-friendly and still super-luxe.